Join David & Pui Hang on a wild Canadian experience, travelling into the depths of Yukon wilderness in October 2023 to capture individual images of the native grizzly bear, also known as the Ice Grizzlies, as they feed on spawning salmon in the Fishing Branch River. 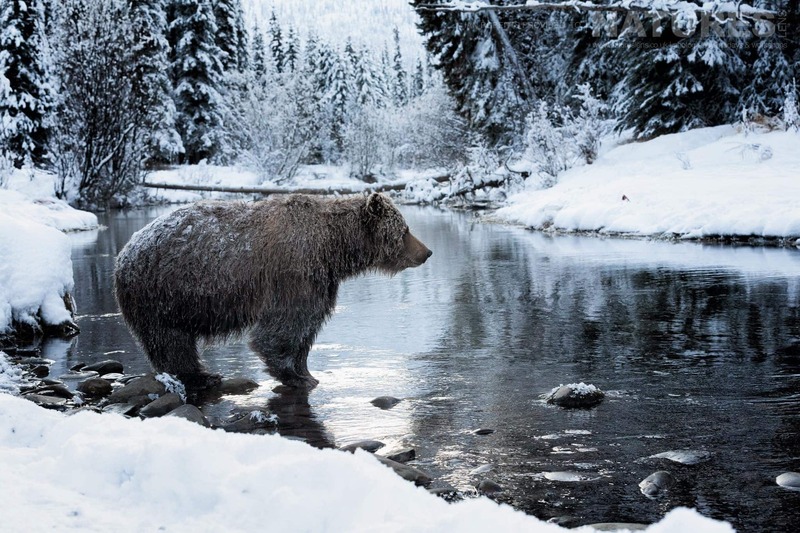 The particular conditions & sub-zero temperatures in & around this river transforms the Grizzlies into ice bears, as their fur becomes frozen & frosted; effectively changing their appearance as photography subjects. Only a fortunate few can witness this spectacle annually, & the unique nature of this wildlife photography experience means that we can only offer at most three places on this trip, so early booking is essential. Join NaturesLens to capture images of native grizzly bear, in Canada, during the Ice Grizzlies of the Yukon photography holiday. This photography holiday is of 7 night/8 day duration on a Full Board, Shared basis & costs £9999 per participant. NaturesLens invites wildlife photography enthusiasts on a trip to a national park deep in the Yukon region, Canada’s wildest & most unspoilt territory, to capture remarkable images of the Ice Grizzlies as they feed on spawning salmon. This natural wonder only occurs for six weeks of the year so the lucky few who get to observe this event will take home memories to treasure for years to come. The area for this wildlife photography holiday lies within a snowball’s throw of the Arctic Circle in the Fishing Branch Protected Area, where the Vuntut Gwitchin First Nation & the regional government have joined hands to set aside 2,500 sq. miles of pristine wilderness as Yukon’s largest regional park. In this area of the Yukon the grizzly bears stay active for as long as the food remains viable – and late salmon runs mean food until mid-November. The chum salmon draw the grizzly bears to the Bear Cave Mountain area. To prepare for denning, these magnificent giants of the forest take advantage of the abundant food supply as they enter Stage 4 of the process known as hyperphagia, which simply means they eat and drink excessively in preparation for denning. Every fall, in the shadow of craggy mountains, as many as 40 grizzly bears amble along the river’s banks, foraging their limit of chum salmon, which have journeyed two thousand kilometres from the Bering Sea to spawn and die. It is a sight to behold as the grizzly excels at fishing. By mid-October, winter settles in at Bear Cave Mountain and, along with the winter elements, the Grizzlies are transformed into “Ice Bears”. The period to witness this phenomenon is short, just six weeks long, in which the Grizzlies gather to feast on the spawning salmon. Their feeding behaviour is intense during this period as they are attempting to put on enough weight to last them through their hibernation in nearby limestone caverns over the winter months & the Fishing Branch River is the key to it all. Fed by underground springs, Fishing Branch River remains unfrozen throughout the year, & every autumn 35,000 chum salmon make the 1,500-mile odyssey from the Bering Sea to spawn in its pure waters. At times there are so many fish in the river you feel you could walk across it on their backs without getting your feet wet. The salmon, in turn, attract the Grizzlies, as many as 40 every season & as they wade through the river an extraordinary transformation takes place. 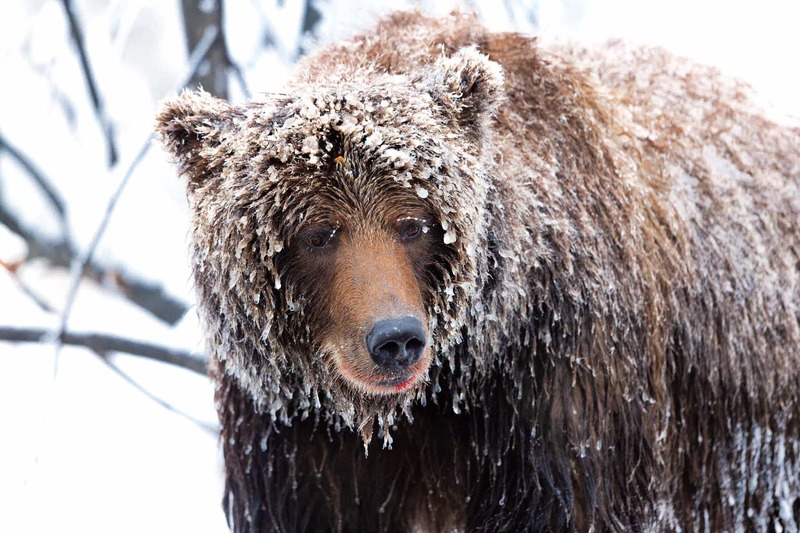 Within minutes their wet fur freezes in the sub-zero temperatures & they become Ice Grizzlies to the delight of wildlife photographers. Being allowed into the park is a limited right, as the region is very sacred to the indigenous Vuntut Gwitchin communities who reside in the area, & put great ancestral & cultural value on the land & the environment within the park. The 2500sq miles which make up the park was set aside by the government & local communities as an area for preservation, & the opportunity to capture its rarely disturbed wildlife population on camera is not one to miss out on. 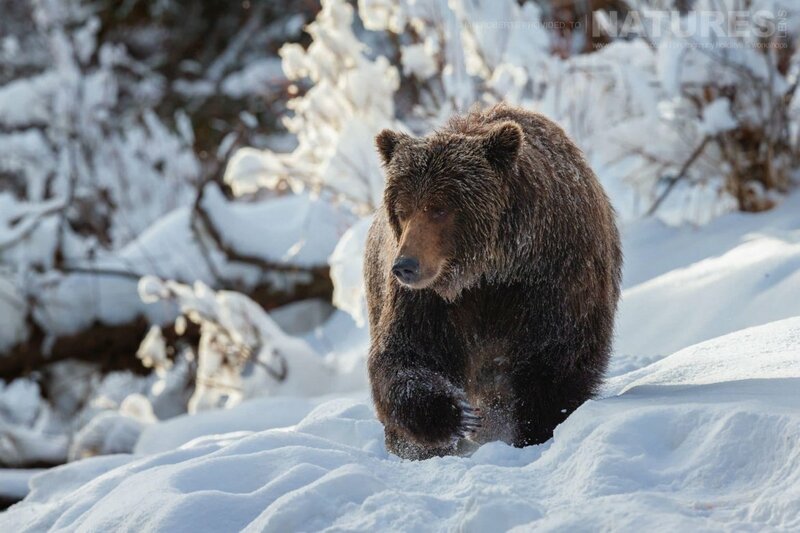 A guide with in-depth knowledge of the wildlife & culture of the Yukon national park, & in particular the Ice Grizzlies, will lead us throughout the experience,; both he & David & Pui Hang will assist you in obtaining editorial-quality images that genuinely communicate the magic of this remarkable wildlife spectacle. Our trip includes a two hour chartered helicopter journey from Dawson City to Fishing Branch River, which takes us across a far-reaching emptiness of deep-frozen rivers & boreal forests bounded by range upon range of white mountains punching to the sky. You will also enjoy seven nights full-board accommodation in a charming log cabin situated moments from the bank of the river; involving you deeply in the action yet providing a cosy retreat from the harsh conditions outside. All internal transfers, accommodation & meals at the camp are all included to make things as straightforward & enjoyable for you as possible. As well as cabin accommodation, all internal transfers are taken care of for you, to ensure that the whole experience is gratifying & you can focus on capturing striking images of the fauna of Fishing Branch River to add to your wildlife portfolio. Join NaturesLens to capture images of top level predator on the banks of the Fishing Branch River, in Canada, during the Ice Bears of the Yukon past event. This past event is of 12 night/13 day duration on a Full Board, Shared basis & costs £8499 per participant.